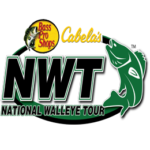 The National Walleye Tour presented by Bass Pro Shops & Cabela’s offers premier, tour-level competition for walleye anglers across the North! The National Walleye Tour is the largest, most prestigious and lucrative walleye fishing series in the nation, with over a million dollars in cash and prizes on the line during the season. The show covers the tour qualifying events and then culminates with a three-day Championship event where we crown the National Walleye Champion!